I’m not sure why I get so sentimental this time of year, but I do. I get ridiculously nostalgic and highly emotional. I look at my children, I get weepy. I hear a Christmas song, I get weepy. I see a Hallmark commercial, I weep uncontrollably. So on the fifth day of Christmas, I was on the verge of tears all day. The day started with a Skype call from a dear friend in Cambodia, a request from another to join her in some holiday fun, and a message from yet another that she would be doing something wonderful to help a charity I have spotlighted for those in Ottawa recently. I got misty. Our plans to “elf” our neighbours were delayed due to foul weather. Tomorrow we will pull out our best mission impossible moves and get our elf on. My husband made Shepherd’s Pie which was all the more delicious because someone else made it. 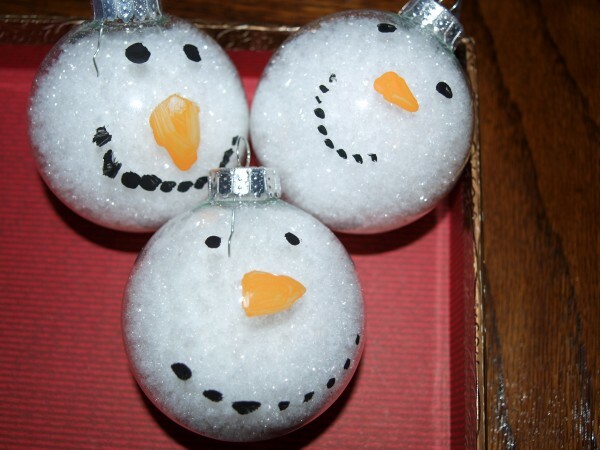 The girls made ornaments for their cheerleading coaches. 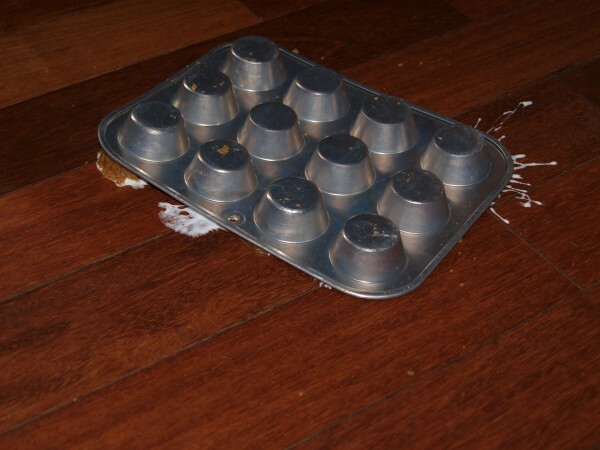 This muffin tin is NOT supposed to be upside down on the floor. *sob sob* I bet these s'more tarts would have been delicious. When cleaning up a sticky marshmallow mess, it's best to call in a professional. Oh well, they can’t all be winners. Only 19 more days until Christmas. Lol you don’t know how much this post made me laugh. I have been surrounded by my 4 kids over the last two days and our houseguest Gastro. Things will get better,I get weepy too close to the holidays.Your pintaster was good for one member of the family at least you made the dogs day!